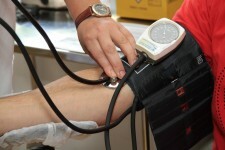 WELLESLEY, Mass., February 13, 2019	(Newswire.com) - Projected growth of the global antihypertensives market to 2023 is attributed to the growing prevalence of hypertension, an increase in government programs for prescription drugs, and investments by key players in the development of novel therapies. Major players in the industry include Johnson & Johnson, Daiichi Sankyo Co. Ltd, Novartis AG, and others. The highest growth rate is projected for combination drugs due to their effectiveness, multiple patent exclusivities, and the growing preference of combination drugs over monotherapies in the treatment of hypertension. Asia-Pacific is forecast to experience the most growth, fueled by increasing awareness regarding hypertension management and public-private sector collaborations to provide affordable treatment in developing countries. BCC Research provides objective, unbiased measurement and assessment of market opportunities with detailed market research reports. Our experienced industry analysts' goal is to help you make informed business decisions, free of noise and hype.